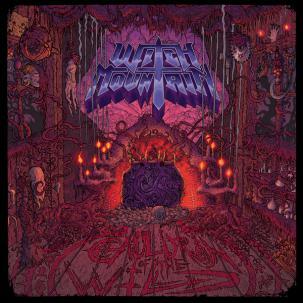 Portland’s oldest existing doom metal band, Witch Mountain has an interesting history leading up to the present day. Formed in 1997 by guitarist Rob Wrong (Iommi Stubbs, ex-M99) and drummer Nathan Carson (Point Line Plane, Two Ton Boa, SUNN0))) collaborator), the group released their debut album …Come the Mountain to critical acclaim in 2001. In those years, Witch Mountain was a live staple in the Northwest and on the national circuit, touring with Weedeater and Spirit Caravan and gigging with the likes of Lost Goat, Bongzilla, Goatsnake, High on Fire, Orange Goblin, Electric Wizard, YOB, Unsane, EyeHateGod, Alabama Thunderpussy, Clutch, Sour Vein, Isis, Soilent Green, Raging Slab, Warhorse, Agalloch, Thrones, etc., etc. 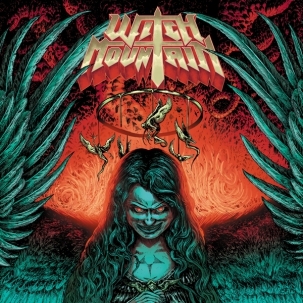 A period of hibernation ensued until 2009 when the group resurfaced with front-woman Uta Plotkin, whose unmistakable, soaring vocal style has prompted critics to describe Witch Mountain as what Black Sabbath would sound like if fronted by Janis Joplin. Sophomore album South of Salem, recorded with mega-producer Billy Anderson in 2010 and initially self-released on vinyl only, garnered exceptional press from Decibel magazine all the way to NPR (who dubbed it the #4 metal album of the year) and beyond. 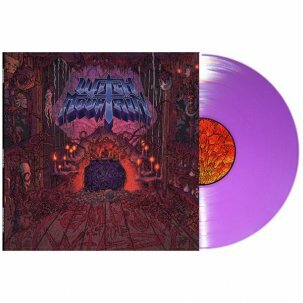 With activity in the Witch Mountain camp currently at its peak, it’s no surprise that the long-awaited Cauldron of the Wild is easily the band’s mightiest release to date. Plotkin’s unparalleled vocals are at the height of their powers and the band (now featuring new bass player Neal Munson) delivers their heaviest, darkest and most soulful release yet. Cauldron of the Wild will serve to bringing proper recognition and awareness to this veteran American doom metal band.